me and him: by george! your friends and all of your friend's friends voted for—he got it! And we are so pumped we can't even take a descent photo! When we got the phone call it was pretty early in the morning...... maybe a titch too early for us lazy little love birds (it was Jason's only day to sleep in a bit) it was 7 in the a.m. And I'm pretty sure neither of us even heard the little phone ring. Jason did some silent dancing of his own (silent because he was still on the phone) and then a quick trip was scheduled for the paparazzi to come to southern CA for the filming of the video. And when I say paparazzi I mean two cute HR girls from the east coast and the handy camera man with a shopping fetish (B&H photo is his love). It was quite an afternoon of filming and by the end of the day we felt like we made ourselves some new best buds! After filming I made dinner for the girls and Jas and I. When I found out that I would be making dinner for the crew I got all sorts of nervous! What are you supposed to make people who brought you a great, big check? So I settled on homemade chicken noodles because they are a Simmons family fave, and upside-down ice cream cake desert for something sweet (and then I ate desert for breakfast for the next 3 days straight). It was a such good day and I'm so happy that we finally get to tell you all about it!!! Go ahead and check out the press release and the new video here! 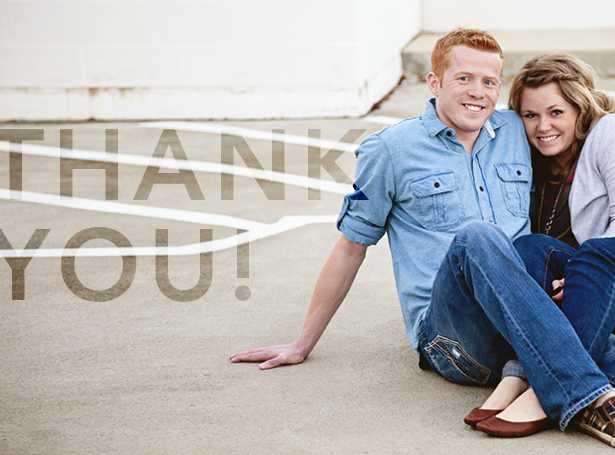 And last, but not least, we want to thank you! There is no way we could have done this without you and your family and your friends and their friends and every arm you twisted into voting for Jason. There were nearly 34,000 votes. That means you guys are the best pals in the whole entire world! Also, we want to thank Nick Moseley for helping us make the fantastic admissions video! I AM SO HAPPY FOR YOU GUYS, I CAN HARDLY STAND IT!!!! I'VE ALREADY TOLD THE WHOLE OFFICE (but maybe not the whole office because most of them are in meetings, but I've told the ones who are here) that you guys got it!!!!!! Congrats guys! That is so great! Oh my gosh yay! I just watched the video with Jason and it warmed my heart...so happy for you guys. What a wonderful and well-deserved blessing! Yay! I'm so happy for you too. 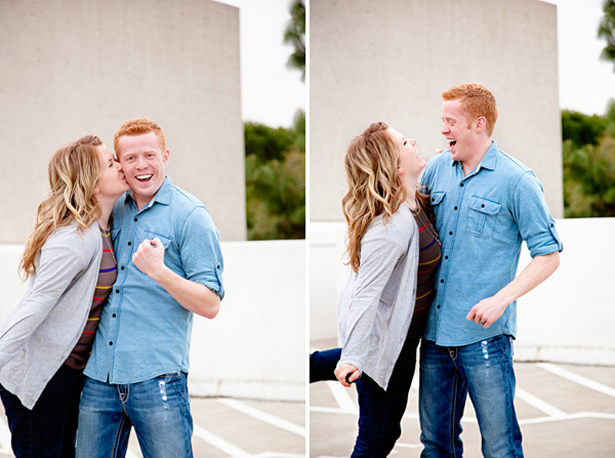 And the photos are dang cute. AHHHHHH! thats amazing!! i'm so excited that you guys won! Congratulations- That is awesome! I'm so happy for you guys! Guess what Ger, cried again reading it! I am so pumped for you guys! Tell Ja-Dog... AWESOME JOB! See ya in less than a month! YIPPEE! hurray for happiness! that is the most wonderful news, for anyone! i think i'll be happy all day now. Hee Haw! Bestest news all day! seriously, i am not even immediate family, but when Becca told me he had won- I cried. You guys deserve it. Yay!! Congrats, that has got to be a big load off your shoulders! ps. I loved this post, your shimmy comment made me laugh out loud. congratulaions!! you guys totally deserve it and i'm so so so happy for you! hope everything else is going just as great! Wow! Congrats Jason! I'm so happy for you! You deserve it! I was so excited when Lucy told me...I might have even cried a little. yay!!! that's so great! i'm so happy for you guys! OMG...good for you guys! that is really terrific! those pictures of the two fo you are just adorable. Yay! What an amazing blessing! You two are so cute! You two are so cute! Congrats on the scholarship, what great news to get on the phone, early in the morning! WAHOOO! I AM SOOOOOO EXCITED!! CONGRATS!! This is the best news ever!! Congratulations! I totally voted for you and I am glad you won! I cried when I watched the video of you two! I can't think of another couple who deserves this more! I hope California is treating you well...and happy to see that you two are more in love than ever! Congrats guys! Love the pics, so genuine. What an exciting accomplishment, you deserve it! Congrats Jason and Geri, you deserved it! CONGRATS! That is amazing and phenomenal and all kinds of wonderful! YAY for you two! So happy for you guys! Congrats. P.S. Geri....holy smokes, reading your blog...you totally sound just like your big sis! Makes me laugh! Oh my gosh! Yay! I'm so excited for you. Cassie posted on her blog asking for votes and I watched Jason's video and voted for him! You guys are amazing. CONGRATS!! !